Perfect timing for this contest – The Great Canadian Houseboat Adventure is complete and a doggie life jacket featured prominently on my dog Victor. (Missed it? check it out here). If you’re on the water with the dog, a life jacket is a great idea. 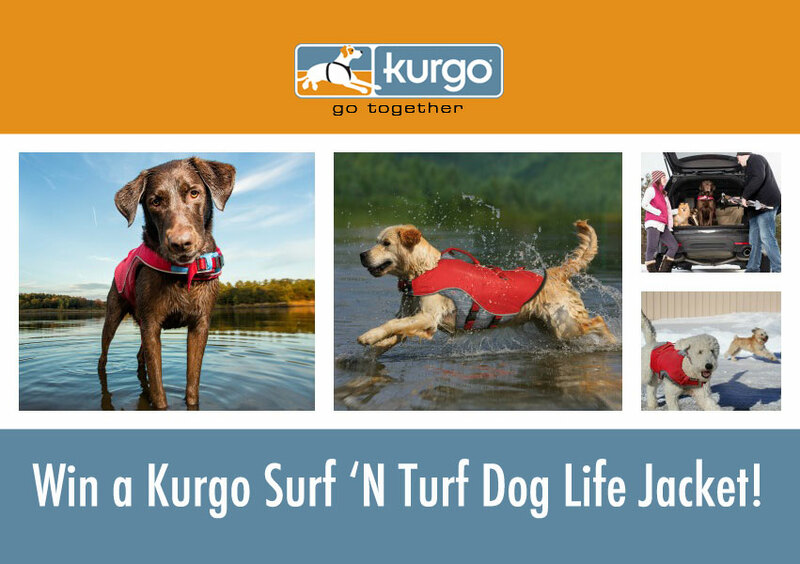 Here’s a good one: Kurgo’s Surf ‘n Turf Life Jacket works with your dog’s own natural buoyancy to keep him safe in the water. Two handles help you pull your dog from the water while two d-rings make it easy to snap on your leash.The safest way to keep your dog safe around water is with a dog life jacket. Enter the contest easily here: Kurgo Contest! You’ll enter in the widget above. One winner will be selected at random; Kurgo will ship the prize directly to the winner. This giveaway is open to readers in the USA and Canada. Good luck! Or you can order your own Kurgo Dog Life Jacket quickly and easily here.